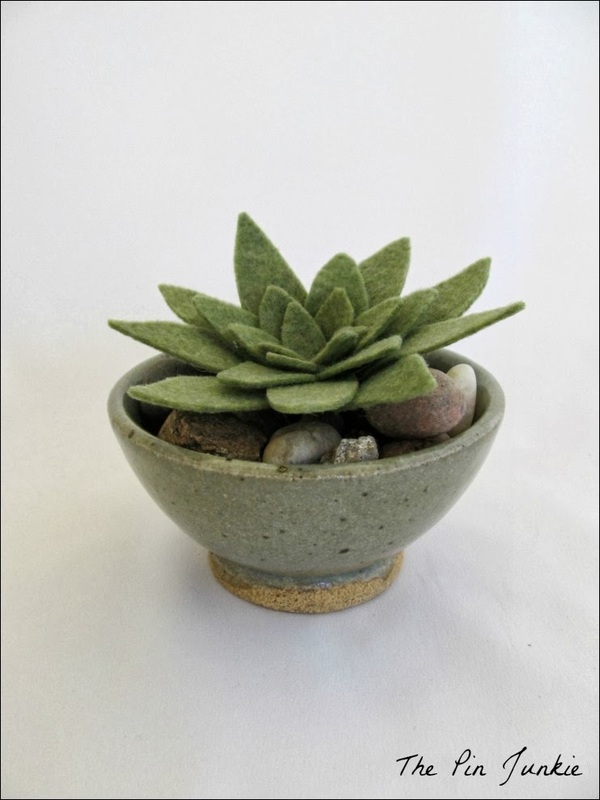 Succulents are naturally low maintenance plants, but these felt succulents are 100% maintenance free! You don't have to remember to water these little guys and they won't mind at all! I just can't tell you how much I love these cute little felt plants! I saw them on Pinterest of course and the very same day Pin Junkie Jr. brought home some beautiful ceramic pots he made in his ceramics class. 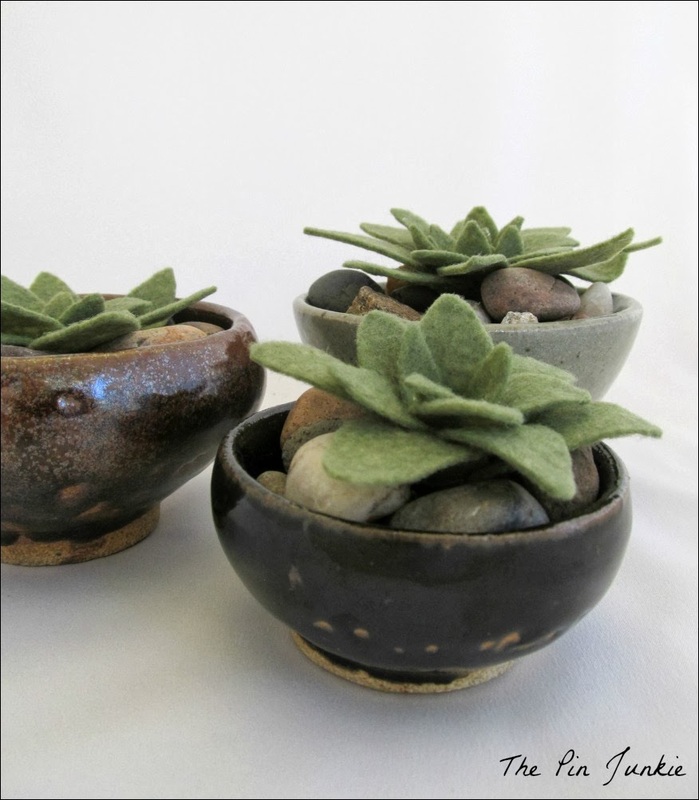 I took one look at those pots and I immediately got out my glue gun and started cutting felt. Keri at Shaken Together is the one who came up with this clever project and she says not to worry about cutting out each leaf exactly the same. 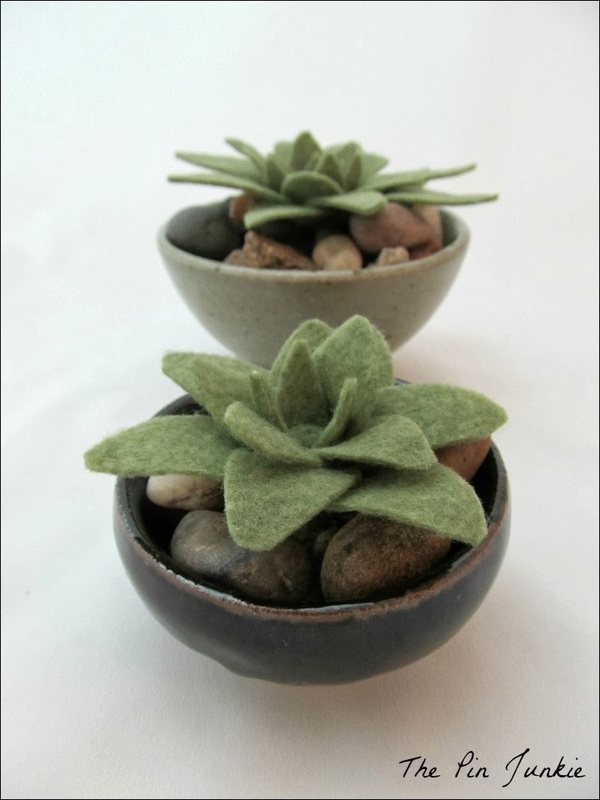 Don't worry about trying to achieve perfection while making these felt succulents. The variation will make them look more natural. They're very simple to make. Just cut out pieces of felt and glue together. You don't even need a pattern. I've always called these particular succulents Hens and Chicks. The first plant I attempted to make was too flat and looked more like a lily pad, but the second attempt yielded better results. Don't they look like the real thing? I love how they sit in those pretty little pots! I think these are as cute as can be! Would you have fake plants in your home, or do you prefer real ones? Inspired by this pin for felt succulents. Ah! We love these so much!!!! Brilliant! As a killer of plants I love this. Adorable! I want these on my desk at work... time to get crafting. Oh my goodness!!! These are so cute. Those are precious!! Visiting via Do Tell Tuesday. Got to admit I've killed a few succulents so this sounds like an idea for me. A plant I won't kill! Love these - such a great idea and they look so adorable too. They caught my eye over at the Twirl And Take A Bow Party. This is amazing! Just pinned! Lovely idea! great idea for those people that kill plants and they look awesome! How cute are those! And they look real. Awesome project! Stopping by via Home & Garden Thursdays :) I definitely prefer faux plants, and these are just the cutest! This is my kind of plant!! Thanks for letting us know...I love them. Thanks for sharing on the Thursday Blog Hop!! These are great! I love succulents, and I am trying to keep one on my bedside table, but my two year old keeps pulling it out! Think I'll try to knock one of those out today, thanks for posting this! Oh, I love this idea! 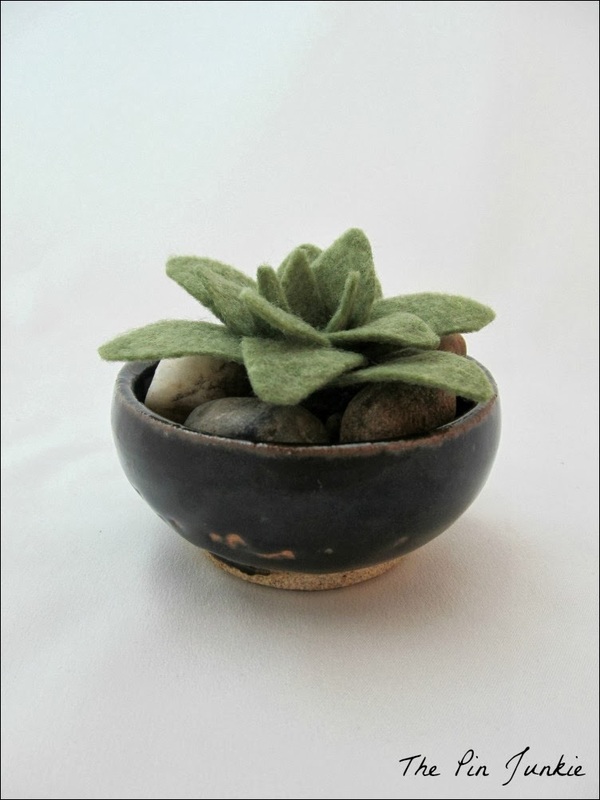 Not that succulents are terribly hard to care for, but I love the idea of felt ones even more! Pinned! I love it! My hubby doesn't like indoor plants because of the mess potential--these are perfect. Super cute!!!! And huge plus that I won't be able to kill the plant! I'm not too good with plants, so these are a perfect alternative. I love them!! I love that these won't die. I killed my last batch of succulents. So sad. 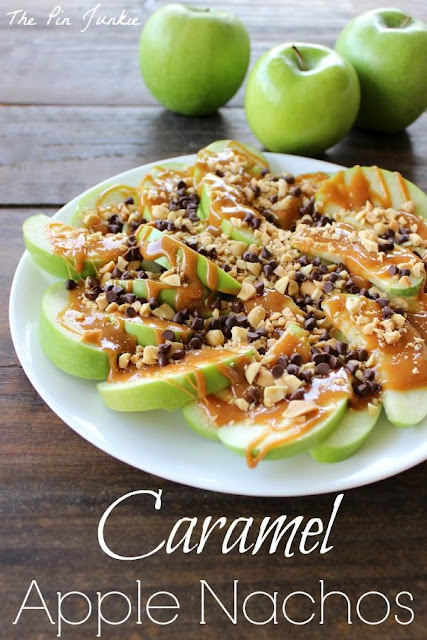 Pinning to try later! Such a fun little project, and finally some plants I can't kill! Thanks for sharing at Fridays Unfolded! Thanks for the feature Carolyn! Thanks for including this project in your features Emily! These are so perfect for me! I'm a plant killer extraordinaire! Pinning of course. And thanks so much for sharing at our Super Saturday party! Thanks for the feature Charlie! Such a clever idea! These look so much like real succulents. Lovely! I think I'd prefer these, to be honest! I don't do as well with real plants. These are very beautiful - you did a great job! These are so cute!! 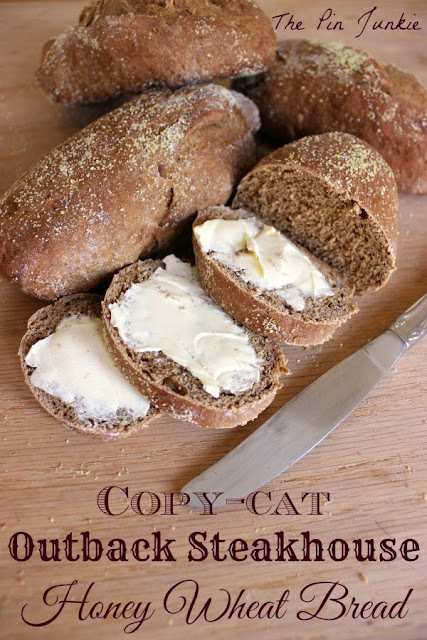 I found you on the Countdown blog hop & now I'm your newest GFC follower! These are so cute, I think I could "grow" them. Thanks for sharing. Love them! They look great! I bet from a distance you wouldn't be able to tell they weren't real. Love them. Great job. I love these! I saw them on the Bloggers Brag Party. These would be a fun gift for an older person who can't take care of real plants, but still wants some green in their home. Great idea Barb! I love it! This just might be the greatest tutorial I've ever seen. Love all things felt and all succulents! I love your idea for the Hens and Chicks. So cool...and seriously I thought they were real when I first saw them! Yeah, I know that's the point but still! Also, hello from Be Inspired! Bonnie, these look amazing and so real. 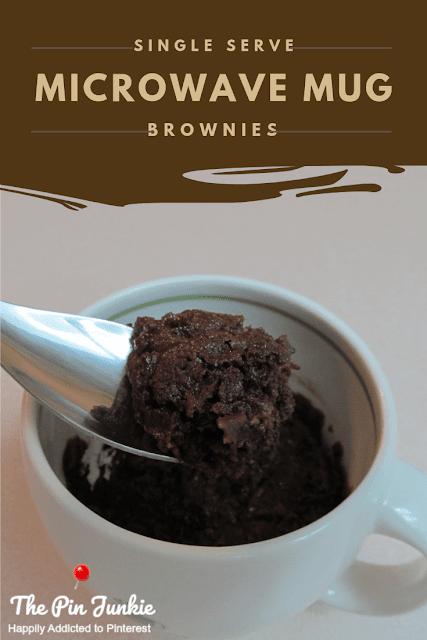 Thanks so much for linking up as always to Thriving on Thursdays at Domesblissity. I'm featuring this one at tomorrow's party. Thanks for the feature Anne! These are cute & looked real. I have pinned. Stopping by from the Bloggers Brags Pinterest Party. I am also following you on social media. Until I clicked your tutorial I thought they were real! Great job. Very creative. Thanks so much for sharing at All Things Pretty. Thanks for the feature Tammy! 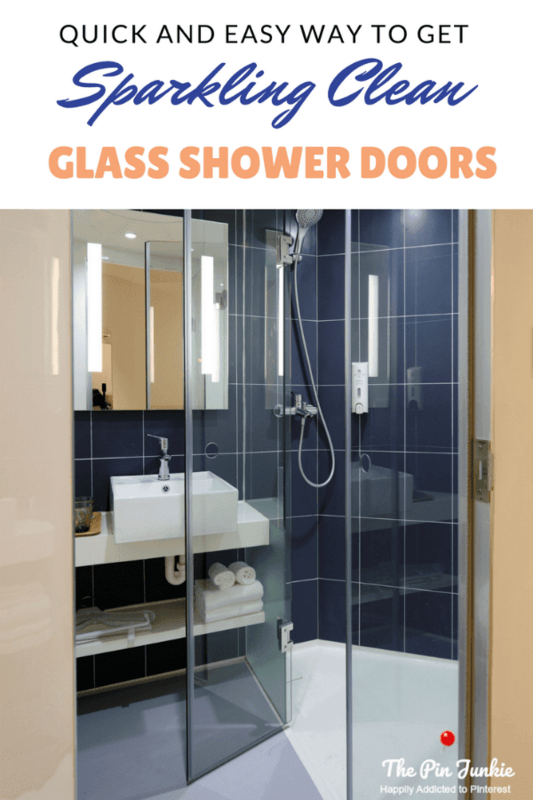 These are super cute--and no maintenance! Love it. 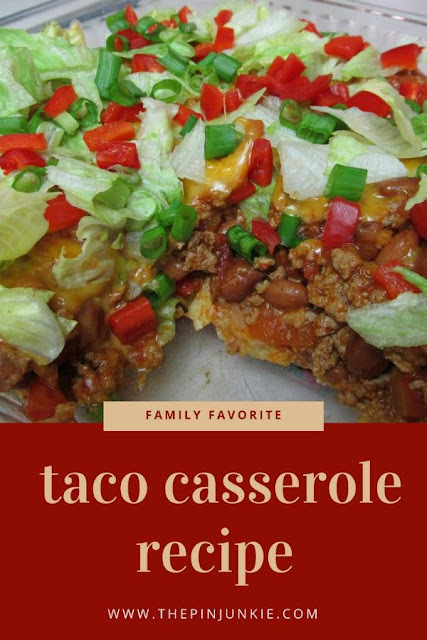 Thanks for linking up to the Do Tell Tuesday party. Hope to see you again tonight! Such a great idea!! I can't keep plants alive in my house. Thanks for linking up at Take it on Tuesday! Thank you so much Sonnet! Thank you so much for sharing with us at Retro Repin! 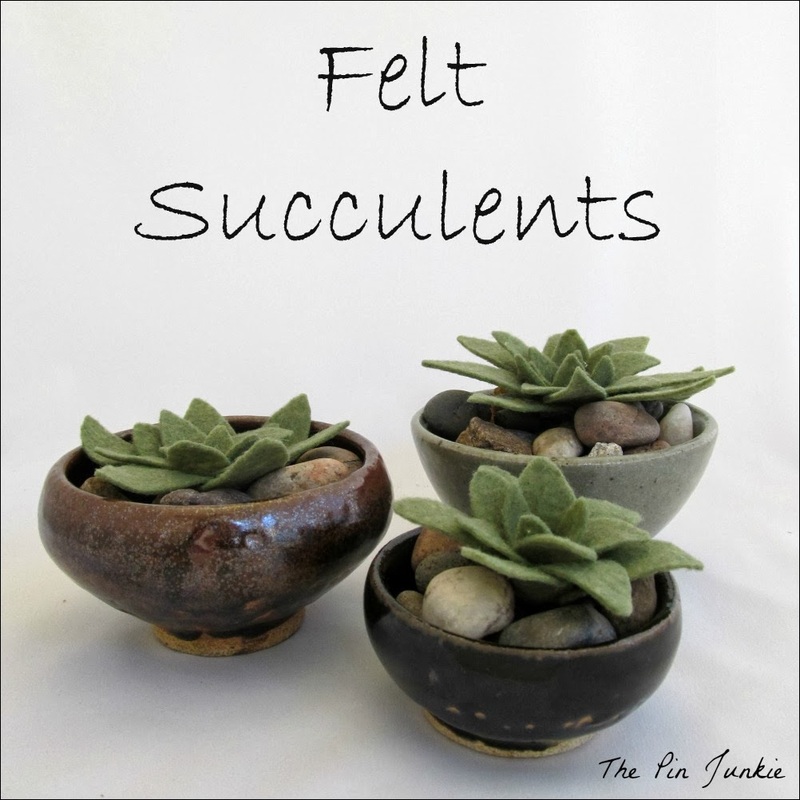 I chose to feature these Felt Succulents this week and hope you stop by to link up again! I love this! I'm doing this but on a big ole wreath!